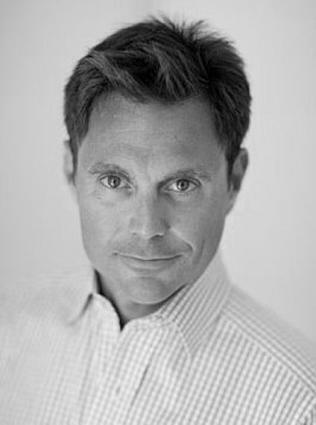 David Kelman, co-founder and managing director of Yoga Sutra. There's much more to good yoga studio design than the color of the walls and ambient lighting. Creating an atmosphere that inspires both students and instructors includes many components, such as a commitment to yoga styles, establishing productive class sizes and schedules, and providing a management and teaching structure that showcases everyone's best abilities. In this LovetoKnow Yoga interview, we talk with David Kelman, the co-founder and managing director of Yoga Sutra of New York City and Yoga Sutra of Philadelphia. Kelman demonstrates the fulfillment of a dream many yoga instructors have: opening a studio that stays true to a core philosophy. However, while an avid Ashtanga yoga practitioner, Kelman is not an instructor. With his investment background and MBA in business, he spends his time in operations, enabling Yoga Sutra's instructors to focus on teaching and meeting students' needs. Kelman shares his insight about yoga studio design and establishing a model that leads to success. Many instructors desire to own a yoga studio. What's the most important piece of advice you'd extend? Well, some of what has made Yoga Sutra successful and what has become my mantra is the "separation of church and state". We keep the business and the teaching separate. We let the teachers focus on teaching, and we have a management staff handling the business side. I think it blurs a lot of lines for some instructors who hang up their own shingle after they build up a following. It makes sense to open a studio if people enjoy your approach, and you'd like the freedom of teaching. But, then there's managing the books, cleaning the practice rooms, devising schedules, payroll, and all the other administrative tasks. Before you know it, you're spending more time managing and less time teaching. So, my advice for any instructor looking to branch out is to get a business partner. I don't teach, I don't want to teach, I don't pretend to teach. I'm pretty far along in my practice of Ashtanga yoga, and upholding the philosophy and integrity of school is important to me, but I stay at the front of the house. In the New York location, I don't even have an office - I'm at the front desk half the time, answering phones. How did you decide on which styles to feature in your yoga studio design? It was really me and my dad who decided that we wanted to be a Sri. T. Krishnamacharya school, and the instructors have to buy into the philosophy of that. We wanted to build a school to provide yoga training in a very classical yoga tradition, with styles crafted by instructors following the Krishnamacharya methods. So the styles we feature, Ashtanga, Iyengar and Vinyasa, are in line with that. We offer with the common heritage of Ashtanga and Iyengar, and we only hire certified teachers in those disciplines. We take the integrity of those teachings very seriously. Sri Krishna Pattabhi Jois is the guru of Ashtanga yoga, and he studied with Krishnamacharya. B.K.S. Iyengar's style of yoga follows ancient yogi's Patanjali's Ashtanga Yoga eight-fold path, and Krishnamacharya was Iyengar's uncle. Vinyasa follows the principles of Sri T. Krishnamacharya's teaching of the foundational Hatha yoga. It's harder to find the people dedicated to these disciplines, and it takes longer to build the school, because not everyone understands that we want to establish an institution that will outlive me and will really form its own foundation. Students practicing at Yoga Sutra. Aside from technique and knowledge, what else do you consider when interviewing instructors? I would say the Iyengar people are the hardest to convince, because of the structure and integrity of that method. We have to prove that we not trying to deviate from his principles. Once the instructors realized we were serious, that we're not a fad business, and it takes more time to build, they were okay about coming on board. We're always trying to find people who really want a home, and to be a part of a family. And we're not a star culture. I'm pretty strict about no politics and no drama - everything revolves around the student. Running a business can be difficult for even the savviest individuals. How is operating a yoga studio different? Well, it's like I said before, the separation of teaching and business is important. The way I've structured our model is like this: there's a director of operations that reports to me on the business side, and desk managers report to her. On the teaching side, each these style has a department head. And the department heads report to me. The department heads make all the content decisions. If an area isn't performing, then I sit down with them and work on solutions. I think that the instructors appreciate the business approach. We pay as well or better, the place is beautiful, and we don't have them running the cash register before running into class. It also gives me leveragability and accountability, but on a practical, day-to-day basis. I talk to the department heads everyday, and I also visit classes. I know my students - many by name, and we've had 13 thousand students come through the New York school. I'm much more about fine-tuning than turning the Titanic. In the New York school, we have the lowest turnover than any other studio in the city. And we've never had someone quit because they didn't like it. It's always because they're moving on. We take good care of people, and we have happy teachers, happy managers, happy students, and I'm a happy owner. My background taught me that if you keep your employees happy, everything will operate well. We're very accommodating, and the managers are empowered. I follow Winston Churchill: "I don't fear the wrong decision, I fear indecision", so people feel empowered to use their judgment. Here's what some people don't want to talk about: everyone gets paycheck, but sometimes I don't. It's my responsibility to make sure things are running smoothly, and I've had a lot of sleepless nights. I really believe in what we're doing and the three years under our belts in New York proves to me that our model works. It's really difficult to replicate what we're doing. Another important point to mention is don't start with just one room - you'll never build the business. Our model is three rooms, and there's always something going on in each at the same time. How important is client feedback in developing the philosophy and atmosphere of the studio? We're completely client-centric, but I endeavor to do things right the first time around, and I give my team credit for that. We get client feedback all the time, so we always have to weigh what the feedback is with our core philosophy of what we're doing. A lot of the suggestions are facility-based or about class times. You do have to look at the whole schedule. But honestly, the only way classes would be convenient for everyone is if we held them every five minutes! We're premium-priced, but we make atmosphere comfortable and luxurious. We have fresh flowers, organic teas and soaps, touches like that. It's a very welcoming. We planned everything out and from the start, our students responded favorably to how different we are. Yoga Sutra started with a studio in New York City, and recently opened a second location in Philadelphia. What prompted the expansion? Why not just open another studio in New York City? A few things, really. New York City is the most competitive and saturated market for yoga in the country. I took the risk and made the investment because of the location, and the space is very unique. I had pursued the acquisition of another yoga center prior to making the decision, but the senior staff was so enthusiastic to be on board that I was encouraged to open a studio anyway. My father lives in Philadelphia, and he's a former consultant and avid yoga practitioner. He was eager to start a new chapter in his life, so we thought we'd give a second Yoga Sutra school a try. We have a smaller market in Philadelphia, and one of the challenges was to assemble the team, so that was more of a priority there. Now, I think we have a real homerun, because we have people based in Center City as well as people moving in from other locations to establish a team with true credentials. David Kelman practices Ashtanga yoga. Many other studios offer workshops in everything from dance to vegetarian cooking lessons. Is that diversification important to the success of a studio? We experimented with a lot of things, especially in the beginning to get people to come in. But now, I think we'd like to stay with depth rather than breadth. We have guests in sometimes. David Williams, a longstanding practitioner of Ashtanga, comes through frequently. We've also had Robert Thurman and Mark Epstein conduct workshops in Buddhism. Occasionally, we have a relationship with what I call a friend of Yoga Sutra who would like to do something with us. We have them write a proposal and see if it fits into what we're trying to accomplish. We put on workshops that follow our philosophy. In the beginning, we let almost anyone with a robe in the place, but now we really narrow our focus, and our teachers conduct really good workshops, too. Here, it costs more in the beginning to start the studio, and you allow anyone in to make a dollar. But sticking to the foundation of what we're about works for us. We're not elitists, we're very inclusive to all ages and all backgrounds. We have students in their 20s and in their 80s, at all stages of yoga practice. So how do you build the business of a yoga studio? Well, it's a fixed cost business, so that's both good news and bad news. In the beginning, it's terrible. But, once we break even and the student experience is positive, additional students add to the profit. We'd rather turn students away than sacrifice their experience simply to make money. We offer teacher training, too, which utilizes the class space when students aren't in it. We bring in the top instructors in our disciplines. We have to build a scale to have real substantiation; a viable business. That's why our model operates on a full class schedule, with three full rooms, and an administrative arm. I love coming to work, and it's important to me that everyone here loves coming in, too. In my previous career, I became disgusted with the culture of greed and unconditional sacrifice. I was trained to extract everything from everybody. It was really important to me to build something and give back and prove to my children that to change paths is a courageous thing. I was trained on the Ivy League path, and came from an entrepreneurial family. I worked with all these types of clients in banking and took risks and built something. But, it was time for a change. I thought I wanted to do foundation work and actually got an offer to work for the Bill and Melinda Gates Foundation. But, it would have required a move to Seattle, and our family is based on the East Coast. At the time, I practiced yoga at Alexis Stewart's studio, and when she became busy with the issues surrounding her mother, I spent two-four months turning her business inside out, and fell in love with the concept. Now I hope to continue to build something substantial and helpful for people. Learn more about operating a yoga studio with tips from Centered Business.